Esperanza Pacheco (red scarf) and her daughter Esmeralda Moctezuma (grey hood). 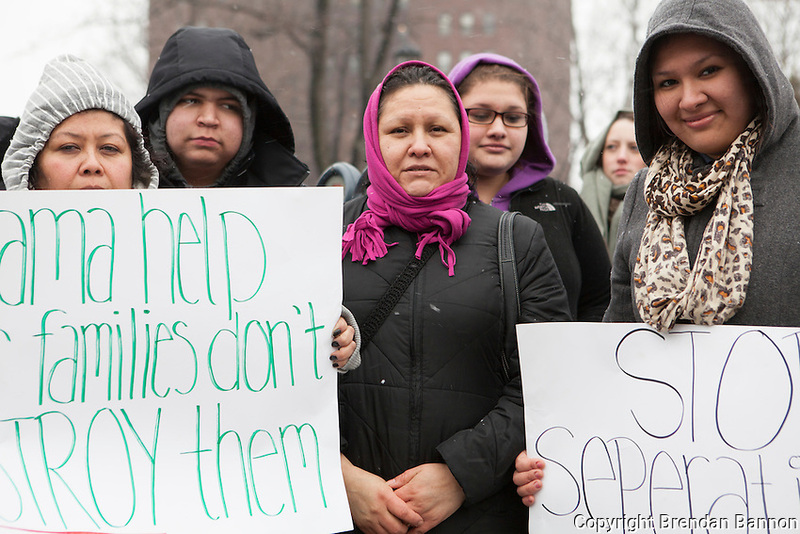 At a protest in Erie, PA on March 20, 2014. The protest was held in support of Alfredo Ramos an immigrant whose two children are American Citizens. Ramos was facing immigration related charges at the Federal Court building in Erie, PA. Pacheco is a Mexican citizen who, like many Mexican parents of American citizen children, in the Painesville, Ohio community face the possibility of deportation. Photo: Brendan Bannon. Erie, PA March 20, 2014.